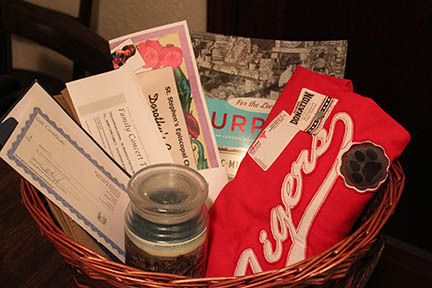 Here is our Good Friday Grand Give-Away Raffle Basket: Dorothy’s Candies gift certificate, McKeesport Symphony Orchestra (Orchestra of the Alleghenies) Family Concert Pass, Eat’nPark gift card, McKeesport Tigers shirt courtesy of Ayres Drug Store, items from McKeesport Heritage Center’s gift shop–as well as a gift card, and For the Love of Murphy’s, a history of the G.C. Murphy Company. Raffle tickets on sale at our fish fry, 11:30 to 6:30–through Good Friday! Tickets are 3 for $1, or 7 for $2. Recipient need not be present; we will call you.